One of the biggest business headlines of the year seemingly came out of nowhere. On April 29, two of the largest cellular network operators in the U.S., Sprint and T-Mobile, announced their companies would join forces in a merger valued at more than $146 billion. The key goals behind the merger were typical among other massive corporate deals of its kind – capturing greater efficiency, expanding the influence of each company and gaining market share. But the two firms also cited a willingness to move into the "5G era" at a faster clip. It's believed that the merger will give the newly combined company a leg up on competitors AT&T and Verizon, not to mention other players in the mobile market abroad. With such a major deal predicated on a relatively unknown technology, it has prompted some to wonder exactly what 5G is. As it turns out, 5G is more than just the next logical step in wireless networking technology. Once rolled out to a broad consumer audience, 5G could well reshape the tech landscape as we know it, with numerous implications for innovative unified communications systems. Telecommunications companies are upgrading their wireless networks all the time, but due to the size and scope of their infrastructure, most updates are limited to software tweaks or reactive repairs. 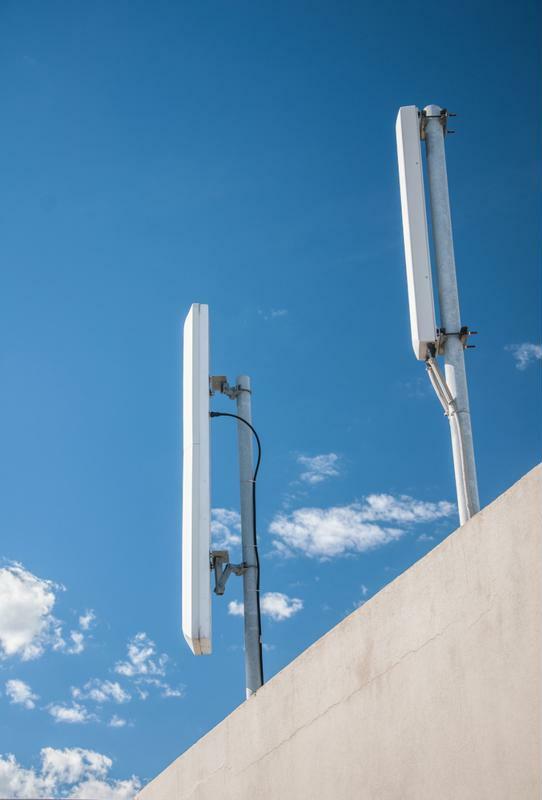 It's only around once every few years that service providers are able to invest in capital-intensive upgrades to the physical components of the network, like antennae on cell towers, that result in drastically improved performance. These major steps are considered generations of wireless technology. The fourth generation, or 4G, is the most recent major infrastructure overhaul that's still in wide use among wireless networks. But 4G wireless networking standards have been in wide commercial use since 2008, making most of the developed world due for an upgrade. Fixed wireless access, a feature enabled by equipment upgrades to wireless antenna systems that should enable wireless download speeds comparable to traditional Wi-Fi networks. Once 5G is rolled out, densely populated urban areas will be covered by 5G service that will facilitate downloads as fast as 1 Gbit per second. Edge computing and machine-to-machine communications are two provisions of new 5G standards that could have the most long-term impact. That's because these two features will effectively enable high-speed, low latency data transmission between cell towers and devices embedded in driverless cars or machine assembly robots. Including these capabilities on the same platform that hosts traditional cellular communications will make the rollout of these experimental technologies much easier. Video delivery services should also improve thanks to 5G standards, mostly due to the features discussed above. With faster data speeds and lower latency between network nodes, service providers should be able to allow high resolution video streaming from any location, the likes of which are only currently possible with a wired broadband connection. Some of the more technical provisions of new 5G standards will benefit businesses and consumers in other ways. New cell towers will gain greater spectral efficiency, which means less interference between radio frequencies and thus greater long-range signal penetration. The systems underpinning 5G networks will also be much more energy efficient than current network standards require, driving down costs at all levels. "All these networks [from previous generations] primarily catered towards consumers," Sree Koratala, head of technology and strategy for Ericsson, told ZDNet. "Now, when you look at this next generation of mobile networks, 5G, it is very unlike the previous generation of network. It's truly an inflection point from the consumer to the industry." 5G networks will require large-scale upgrades to existing communications infrastructure. As of mid-2018, consumer and corporate access to 5G technologies is limited. That is expected to change soon as major telecommunications providers in the U.S. and elsewhere move from the trial phase into full-scale adoption. One of the first major field tests of the new standard came during the 2018 Winter Olympics throughout South Korea, as 5G cell towers were switched on for consumer use. A few select U.S. markets already have 5G access enabled for a handful of trial users. However, no mass market consumer devices that can use 5G data bands are currently available. Most analysts predict U.S. consumers and businesses will hear much more about 5G service plans and enabled products starting in 2019, though. To prepare for the large-scale rollout of 5G, businesses need to start thinking about their business communications solutions in a new light. In a report on the expected penetration of 5G in the wireless market, Ericsson said it anticipated as many as 500 million total subscribers to have access to this new technology around the world. However, as with many other capital-intensive communications projects, adoption will not be evenly distributed – North American and the Asia Pacific region are both expected to lead the way in 5G service availability, while European nations are already on track to lag behind the rest of the world in terms of 5G adoption. This could pose challenges for multinational corporations that wish to take full advantage of the capabilities offered under 5G standards. Overall, the coming wave of 5G upgrades will also require significant investment on the part of businesses that want to get their internal networks ready. The amount of time and money this will require is due in part to the multiple new opportunities and business models made possible by 5G. "These connections are expected to be going into devices in factories, transportation, and the grid," said Ericsson's Koratala. "So the range of applications means a huge diversification of performance and requirements for communication. Then there are some use cases that might be demanding a 5x improvement in latency, a 100x or 1000x data volume, as well as [extending] battery life. So when you look at that set of requirements, it's very clear that it is not a single use case. It really becomes an enabler for a wide variety of use cases, that will have different requirements to be met to make them viable."